“Bachelor in Paradise” Season 4, Episode 3 Spoilers: Has KrisDeana’s Love Ship Wrecked? 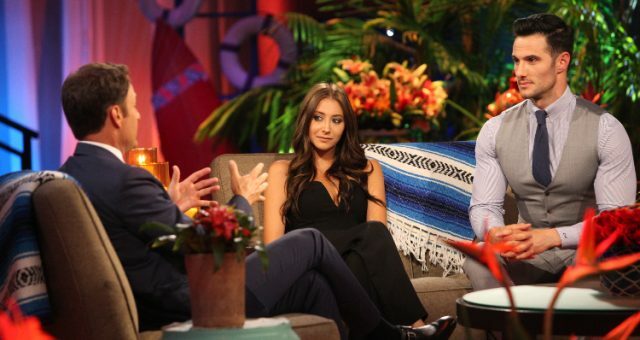 “Bachelor in Paradise” Season 4, Episode 3 Spoilers: Has “KrisDeana’s” Love Become a Shipwreck? Bachelor in Paradise lets people relax and find love in sunny Mexico. Season 4 just started last week and has already taken the world by the storm. Before the next episode airs, take a look at some Bachelor in Paradise spoilers to see what you might expect in tonight’s episode! Bachelor in Paradise may have just started last week, but the controversies surrounding this season have already made it this summer’s most anticipated show. Though the breakdown of what really happened between Corinne Olympios and DeMario Jackson was never elaborated on, there is still a lot of drama to come this season! Bachelor in Paradise spoilers keep popping up and it’s hard not to want to know what happens before anyone else! After all, with so many people to keep track of (and people hoping for Dean Unglert to be the next Bachelor), BiP 2017 spoilers can let fans know what to expect! In Bachelor in Paradise season 4, episode 3 we can expect a few claws to come out! Tonight, there is apparently a newcomer joining the squad, who is all set to charm the ladies. One frustrated female contestant is not clear about where the relationship with her potential man stands, so she wastes her date card on someone who might not even be interested in her. A look at the #BachelorInParadise cast! At the cocktail party leading up to the first Rose Ceremony of the season, one man will finally work up some courage to tell one of the women that he wants to slow things down. To spice things up, we will also see a new woman join Paradise, making some of the other women visibly jealous. However, it looks like the new entrant has her eyes set on somebody in particular! Dean Unglert Has Found Love on Bachelor in Paradise! In the meantime, check out the Bachelor in Paradise season 4, episode 3 promo below. Tune into Bachelor in Paradise tonight at 8:00 p.m. EST on ABC!